Are the Whales Calling you? You will be immersed in the energy of Joy, Excitement and Awe as the Gray Whales share with us their own excitement of people watching, as we watch them. It is a magical and exciting experience for both the people and the whales as our two species connect in love and trust and play. Experience a sound healing as the powerful exhales of the whales surround us, unifying and creating a powerful healing vortex -- a portal that opens, awakens, and activates our hearts with a deep remembrance of being one with all. Our hearts are filled with love and gratitude as the mother Gray Whale trust, honors and blesses us by bringing her young calf to the boat to be with us and to introduce her baby to the humans gentle, loving touches and tender kisses. Join Internationally Acclaimed Animal Communicator, Linda Johns, and Whale Wisdom Expert and Dolphin Energy Healer, Anne Gordon de Barrigón, for this life changing experience. 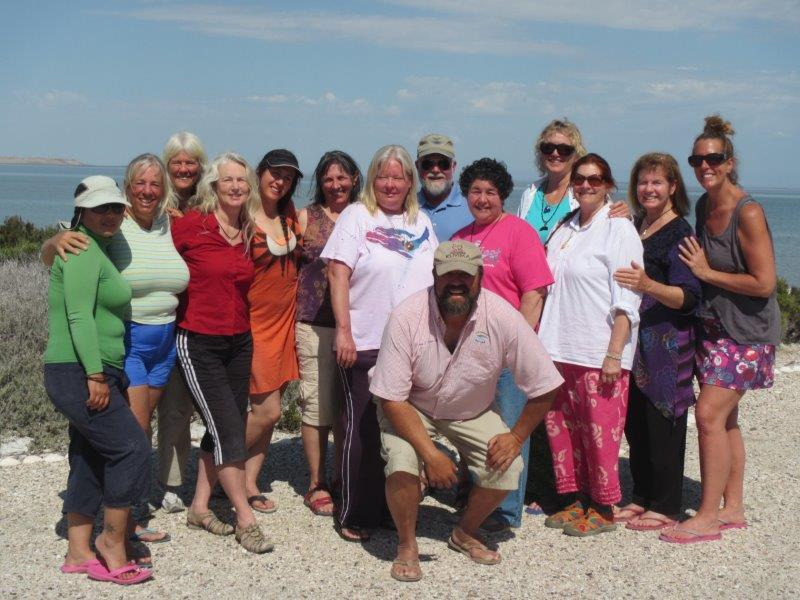 Linda and Anne will help you to open and connect on a deep spiritual level through guided meditations and communications to receive the gifts of wisdom, love, alignment and forgiveness from the Gray Whales of San Ignacio Lagoon. Have you ever dreamed of touching a wild whale? 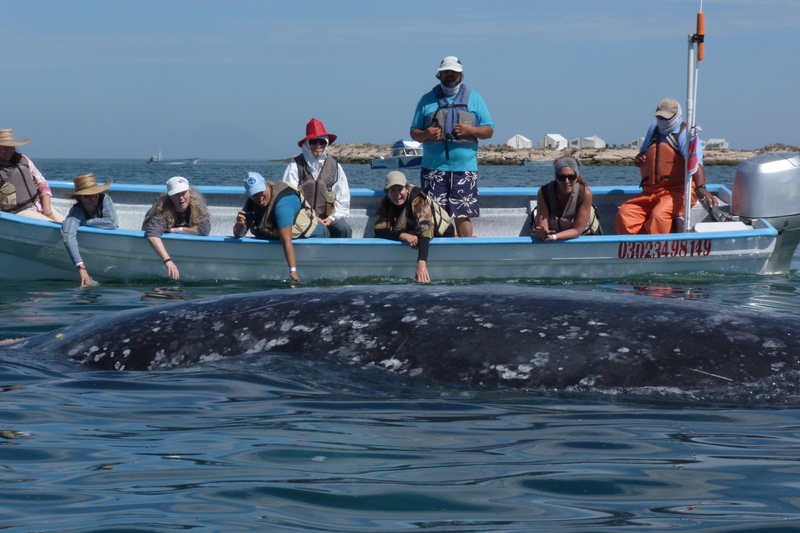 Are you called to experience the thrill of seeing and touching the gentle, giant Gray Whales in the natural beauty of San Ignacio Lagoon? This is the one place on our planet where you can have a magical and friendly Whale encounter. Make meaningful contact with them as they come up to our boat where you can touch, pet and even kiss these friendly Gray Whales. Every year Gray whales migrate more than 10,000 miles round trip, between their summer feeding grounds in the Arctic and the coastal lagoons of southern Baja. San Ignacio is one of the lagoons that is a winter home of the Gray whale. The whales use these protected, shallow, warm waters as their breeding and birthing waters. San Ignacio is the only lagoon that remains undeveloped and pristine. The Gray whales are known as the "Friendliest Whales on Earth!" The Grey Whales love the vibrations of joy, laughter, singing and music as they often seek out boats and even bring their young calves up to the boats to visit, observe and be touched by people. This unforgettable interaction with the whales is a wonderful reminder of truly being consciously aware of what energies, emotions, and thoughts we are putting out into the universe. It has been stated by many, including the whales, that healing begins within, and we have heard that “Laughter is the best medicine”, and “Happiness is contagious”. Notice the uplifting feelings when we are around people or situations that are joyful and happy. As we share this happiness with the Gray Whales, that healing vibration ripples out into the world for all to receive, creating a higher healing frequency for the world. 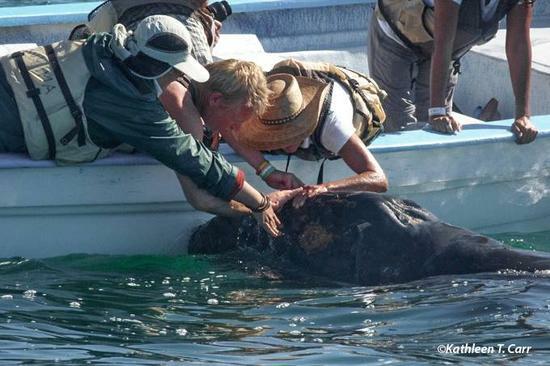 What makes this experience even more incredible is that for over 100 years, San Ignacio Lagoon -- the whales’ birthing and nursery site -- was used relentlessly by whalers to trap and kill the Gray whales. The Grays were known to the whalers as "Devil Fish" as they were one of the only species of whale to fight back aggressively against the whalers. Whaling was halted in 1946, which means some of the individual whales we meet now are the same ones who were hunted by man, and now they are the friendliest whales on earth! This is the ultimate example of true forgiveness and being able to release the past and be in the present moment. On this trip, you will be immersed in the energy of forgiveness and love in the presence of these magnificent whales. Allow the Gray Whales to share ancient teaching and wisdom of alignment and balance with you. Witness the teaching in action of “as above, so below, as within, from the gray whales. The whales love to feel the sun on their face and to see the bright light (as many of us seek the light through prayer and meditations), and they will spy hop to bridge the upper world of heaven and the lower world of earth while suspending their 50-ton bodies in perfect balance between. 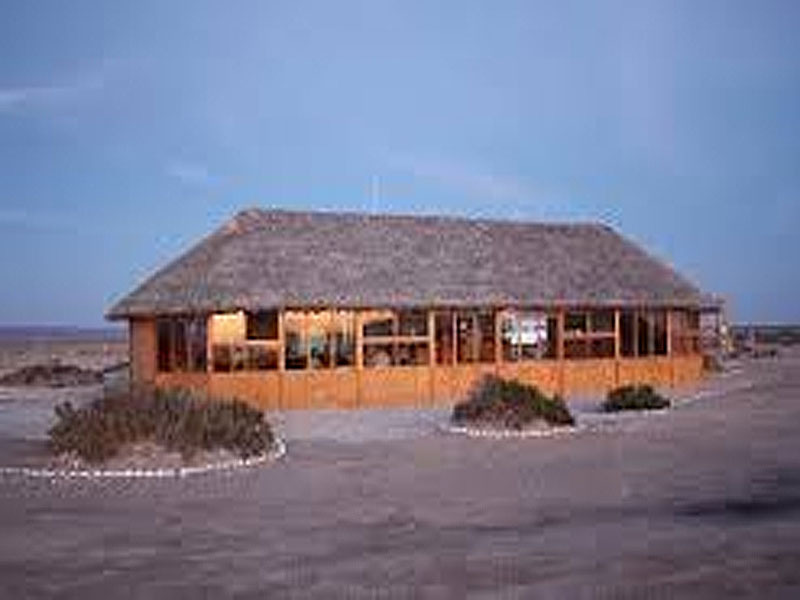 Our spacious Eco-friendly camp offers the perfect place to relax and unwind while visiting San Ignacio Lagoon! Enjoy walking trails, exceptional views of the lagoon and beautiful sunsets. Our camp is right on the lagoon, which means you can watch the whales all day long and even listen to their powerful breaths as you drift off to sleep. 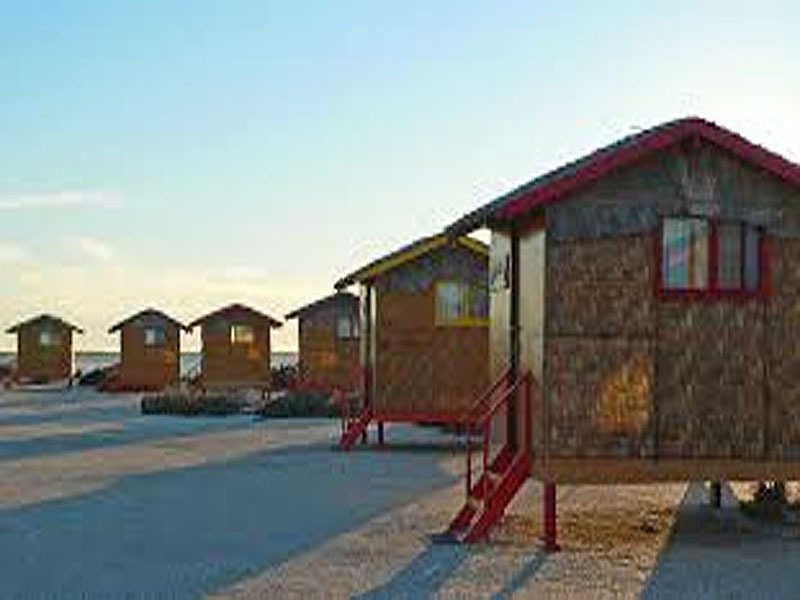 The cabins are equipped to sleep 2 people with a shared bathroom. Some have 2 twin beds and some have 1 double bed and a twin bed. Solar panels provide the electricity for lights and hot water. Keep an eye out for curious coyotes and nesting ospreys in the nearby desert. Video from our 2017 trip.....Amazing! 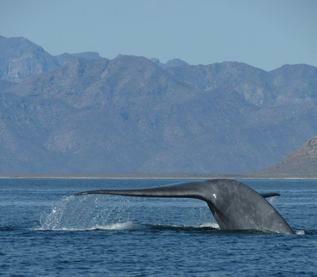 Come early to see the world's largest whales, the Blue whales in the Sea of Cortez. 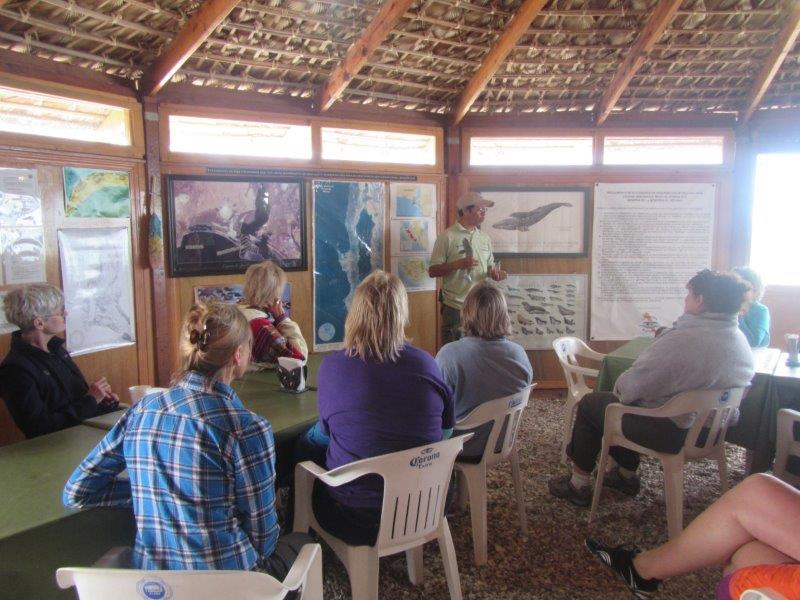 Our Gray whale trip begins in ends in Loreto, so it will be easy for you to arrive one day early to see the Blue whales and hear their powerful messages. The islands around Loreto are ancient and beautiful; you will feel like you have traveled to Middle Earth! Blue whales can be 100 feet long. Their heart is the size of a small car (Volkswagen) so the Blue's have the largest capacity of love so their message is peaceful co-extincting. Price includes 1 night hotel in Loreto, 1 full day Blue Whale Watching Tour and a box lunch on the boat. 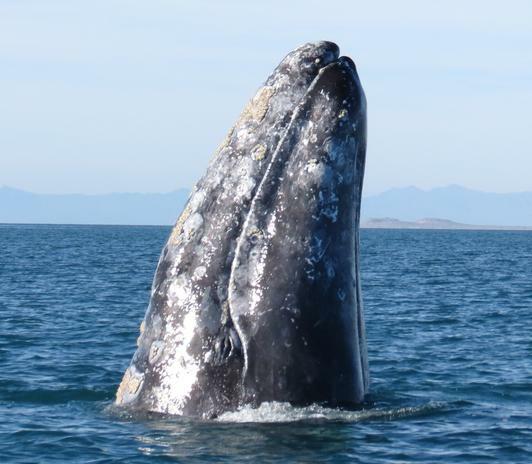 See you in Baja with the Gray Whales and the Blue Whales! Linda and Anne are looking forward to sharing the love, wisdom and healing energy of the Gray and Blue Whales with you on this transformational retreat. Well, I have to tell you writing this brought back wonderful memories. You'll have to keep me in mind for the next trip. I would love to be able to go. This trip was incredible! We had wonderful weather, water, scenery and people. The whales were welcoming and so were our camp hosts. 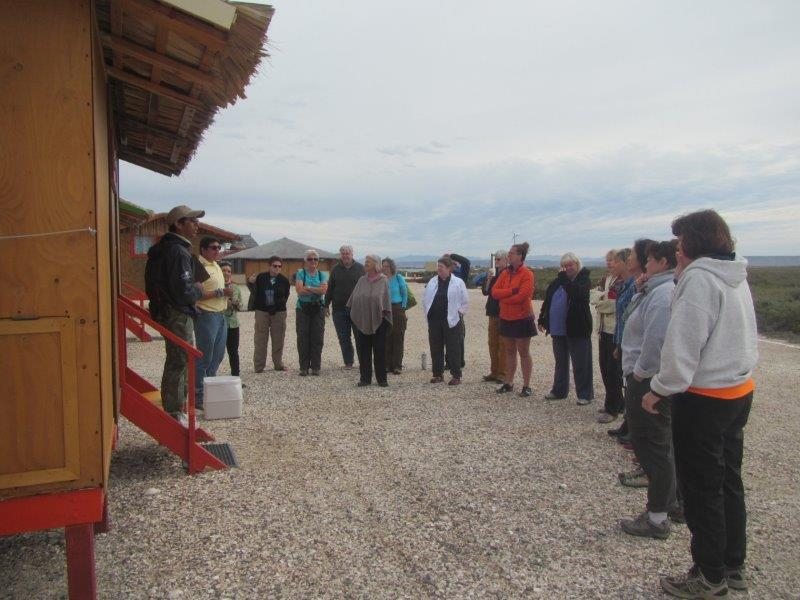 San Ignacio Lagoon is such a peaceful, relaxing and special place. The whale that blew next to me Linda said, "I saw a rainbow around you," and I had a big smile as I felt the whale's breath energize me. It was such an amazing trip! I am so glad I went and would love to do this trip again. 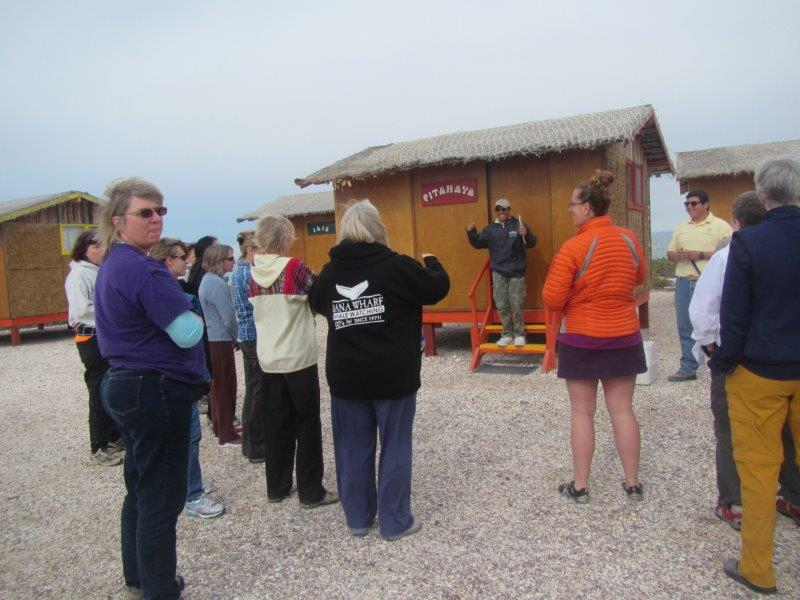 I loved going on the gray whale trip last February to San Ignacio Lagoon with you, my classmates and the other guides and participants! I’ve learned over the several years I’ve worked with you in classes and privately to expect positive experiences (that’s an understatement!) when you’re involved. But nothing you had told us prepared me for the magical experience of sitting in that small boat out in the huge lagoon and seeing for the first time a magnificent gray whale heading toward us! In the distance, whales spouted mists into the air. In our boat, we waited to see if the whale really would come and allow us to touch her. Yes! The mama whale came right up to the boat, and each of the eight of us touched her. The whale-human connection is remarkable in itself, but even more remarkable is that San Ignacio lagoon is where the gray whales were once so viciously slaughtered. You emphasized that the whales, by approaching the boats and allowing themselves to be touched and stroked, are teaching us forgiveness and compassion. I think of that so often still, how our reality is turned upside down because it’s the whales who seek us out and show us an almost unfathomable forgiveness and compassion. It was amazing to see the mamas with their babies come up to the boats! My favorite moment happened on the last boat trip on the last day of this extraordinary adventure. I saw a baby whale heading straight for our boat, and then I realized that he was coming straight to me! I reached out my hand and stroked his back all along his dear “little” body as he swam under the boat. Incredible to experience and a deep gift to hold in memory. That night created another wonder-filled memory: the wind had died down, and we went to sleep lulled by the steady in-out breathing of the sleeping whales! When I’ve tried to describe this trip to friends, it’s impossible. I can talk about the whales, the lagoon, the small boats, the cabins on stilts at the water’s edge where we stayed, the excellent group dynamics. What I cannot communicate, however, is the profound experience of being with some of the largest wild creatures on the planet, in their territory, and accepting and understanding that they chose to come to us and interact with us. The meditations each day, the group sharing and the way you made suggestions about the whales and how to synch our energy to theirs and to be open to communication between us added immensely to the trip. We laughed so often at the joy of it all and at being with each other and acting sometimes like free-spirited kids. What a joyful journey that was, Linda! Thank you so, so much!